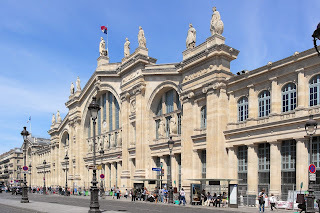 Seven-hundred-thousand people pass through Gare du Nord every day. Of these, around 699 990 don’t stop to look at the building itself. Their loss! It is the busiest train station in Europe and, if you exclude the monster-sized stations in Japan, the busiest in the world. Built in 1846 with just two platforms, it served as the terminus of the Paris-Lille line. It was soon found to be too small and was completely rebuilt in 1866. The original façade was dismantled and moved to Lille where it can be seen today at the front of Lille-Flandres station. 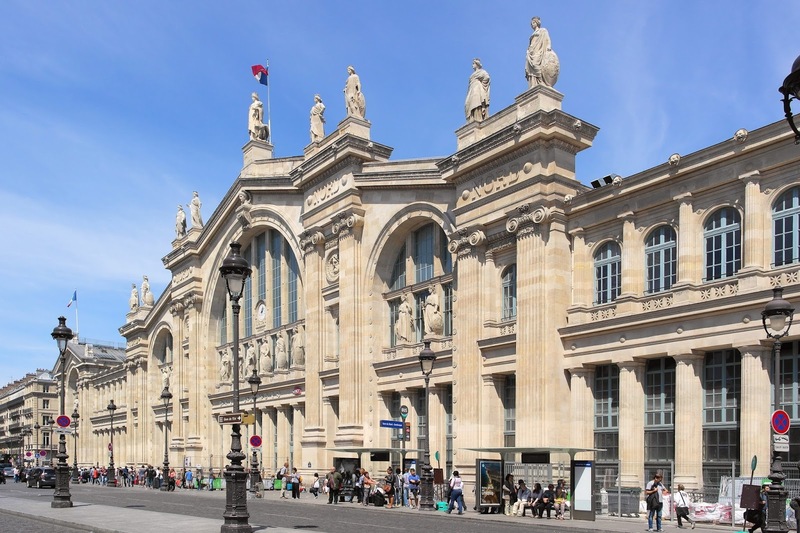 Gare du Nord has been expanded several times since, and today it is a major hub serving the suburbs of Paris and the north of France. It is also the terminus of several international services, including the Eurostar to London, and Thalys to Brussels, Amsterdam and Cologne. The main halls of the station are rather modestly decorated compared to some of the other great railway stations of Europe, and the platforms are covered with a plain glass roof. The façade, in contrast, is a grand affair, designed by the architect Jacques Ignace Hittorff. It is adorned with no fewer than 23 statues, representing the main cities served by the station. The most prominent statues, along the line of the roof, are the international destinations: Frankfurt, Amsterdam, Warsaw, Brussels, London, Vienna, Berlin and Cologne, with Paris taking pride of place in the centre. On a lower level are the major towns of northern France: Boulogne, Compiègne, Saint-Quentin, Cambrai, Beauvais, Lille, Amiens, Rouen, Arras, Laon, Calais, Valenciennes, Douai, Dunkirk. The inside of the station was for many years quite a dreary place. 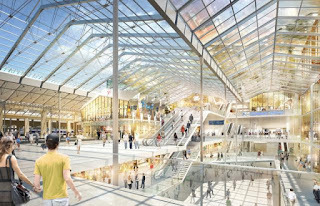 However, development has taken place in recent years to brighten the place up and improve the services offered to passengers, including a shopping arcade, a brasserie, and several cafés. There is an even more ambitious plan underway to prepare for the Paris 2024 Olympic Games. 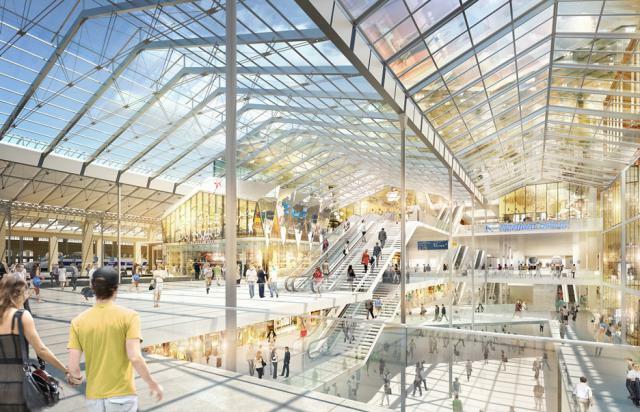 The future Gare du Nord will include an open-air garden, an office complex, a five-star hotel and a complete redesign of the interior layout. It promises to become an area worth going to see, rather than simply passing through on your way to somewhere else.